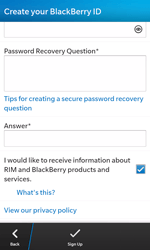 A BlackBerry App World account is required to download apps to your BlackBerry Z10. 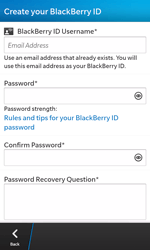 The following step contains instructions on how to create and set up an BlackBerry App World account. Choose Enter a Search Term. 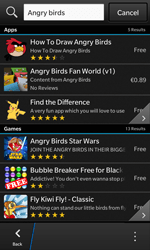 Enter Angry Birds, and choose Search. 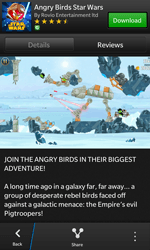 Choose a free app, in this case Angry Birds Star Wars. 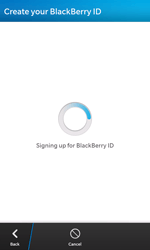 To log in using your existing BlackBerry ID, choose Sign In, enter your login information, and follow the on-screen instructions. 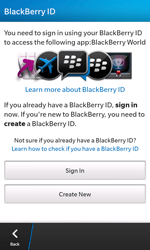 To create a new BlackBerry ID, choose Create New, and go to the next step. Under First Name, enter your first name. Under Last Name, enter your last name. 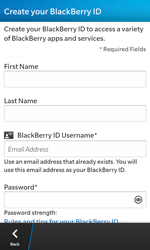 Under BlackBerry ID Username, enter [[sp_email_address]]. Under Password, enter a password. 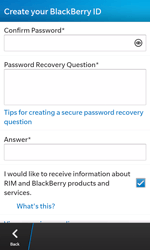 Under Confirm Password, re-enter the password. 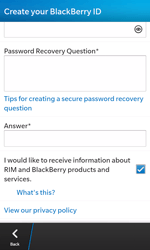 Under Password Recovery Question, enter a question. Under Answer, provide the answer. 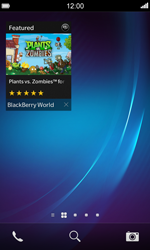 The BlackBerry Z10 has been configured for BlackBerry World. 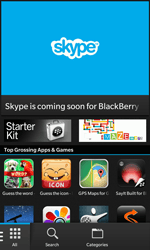 You can now download applications from the BlackBerry App World. 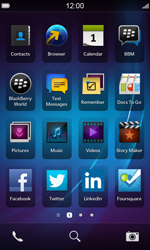 For instructions on how to search for applications, and how to download these, go to Installing applications.